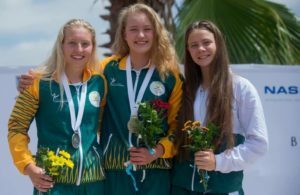 The South African swimming team added eight more medals to their tally (two gold, four silver and two bronze) on Tuesday’s second day of the 13th CANA Africa Swimming and Open Water Championships in Algiers, Algeria. With a fast and golden time of 4min 21.69sec, Cape Town’s Ayrton Sweeney scooped the 400m individual medley title ahead of teammate Ruan Breytenbach, who grabbed the silver medal in 4:25.80. The bronze medal in the event went to Egypt’s Ahmed Hamdy in 4:26.73. Lara van Niekerk edged out the competition in the 200m breaststroke, winning the race in 2min 35.25sec, over three seconds ahead of Egypt’s Rowida Hesham in 2:38.99 and Algeria’s Nefsi Rania Hamida in 2:40.10. In the 50m butterfly, Erin Gallagher added a silver medal to her tally in a time of 26.64sec, behind Egypt’s Farida Osman in a new Championship record time of 26.16 and ahead of Algeria’s Melih Amel in 27.52. Jessica Whelan and Janie Coetzer took the second and third place on the medal podium in the 200m freestyle, clocking 2min 06.14sec and 2:07.08, respectively, while the gold in the event went to Egypt’s Hania Moro in 2:04.46. Alaric Basson (pictured above) was more than happy with his bronze-medal winning performance in the 50m breaststroke, touching the wall in 28.42sec, behind Egypt’s Youssef Elkamash who grabbed the gold in a new Championship record time of 28.04. Basson, Gallagher, Hannah Kiely and Jacques van Wyk also swam the 4x100m freestyle relay and bagged the silver medal in 3min 37.06sec, while Egypt claimed the gold in 3:36.94 and Algeria the bronze in 3:40.39. 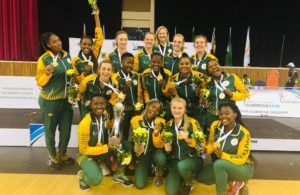 On the first day of the championships, seven medals came the way of the SA team (three gold, three silver and one bronze). Gallagher blew away the opposition in the 100m freestyle and 50m backstroke. She secured Mzansi’s first gold medal in the 100m freestyle with a time of 54.79sec, over two seconds ahead of Egypt’s Farida Osman in 56.80 and Algeria’s Medjahed Nesrine in 58.09 and later in the finals went on to break Chanelle van Wyk’s Championship record in the 50m backstroke. Van Wyk’s time had stood at 29.31sec, with Gallagher winning the gold in a new Championship record time of 29.04 ahead of Egypt’s Samiha Mohsen in 29.51 and Algeria’s Melih Amel in 29.67. Gallagher was also a part of the 4x200m freestyle relay team alongside Jessica Whelan, Janie Coetzee and Tori Oliver, which scooped the gold in 8min 29.89sec ahead of Tunisia in 9:05.40. In the 400m individual medley, Samantha Randle and Whelan were the silver and bronze duo, clocking 4min 59.75sec and 5:00.66, respectively, while the gold went to Algeria’s Nefsi Rania Hamida in 4:56.96. Basson shared the silver medal with Egypt’s Youssef Elkamash when they both touched the wall in 1min 01.54sec in the 100m breaststroke, while the first place was claimed by Tunisia’s Elloumi Wassim in 1:01.26. 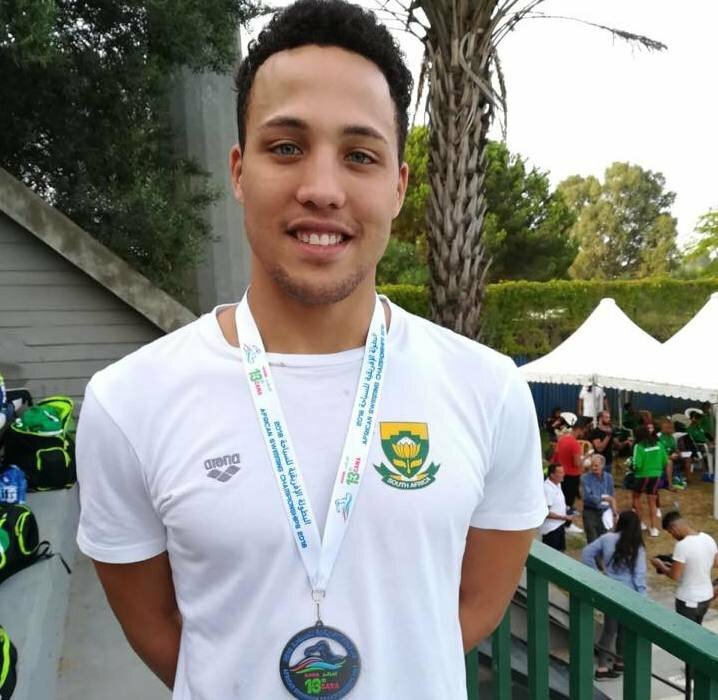 South Africa’s third silver medal came from Jacques van Wyk in the 50m backstroke when he clocked 25.90sec behind Egypt’s Mohamed Samy in 25.49 and ahead of Algeria’s Ardjoune Abdellah in 26.54.